My daughter hates being touched, so I think it's safe to assume "physical touch" is NOT one of her love languages. When she was in middle school, she told me about how a classmate was a space-invader and would touch her arm or shoulder and Claire couldn't stand it. It made her extremely uncomfortable. I was shocked! I instantly told her, "Well, you're my baby and I'm your mom so I will still need hugs from you and I don't care who's sees it". She understood and frankly, I don't care if she didn't. I feel it's my right as a mom to hug my daughter whenever I want to. I'm a very touchy-feely person so she grew up with me constantly touching her. I always gave her my affection and only when I was being affectionate with another child, did she come next to me and put her hand on me. Almost as if to show the other child, "this is my mommy". Other than that, she rarely comes up to me and throws her arms around me. Since middle school and her "I don't like to be touched" confession, I have definitely pulled back on touching her more than just a hug and kiss when she's going to bed or leaving the house, and rarely when she's around her friends. My view is that she is her own person and I should respect her wishes. I think it's safe for a parent to touch their teenager, as a show of support and love. We just need to do it in a way that doesn't make them uncomfortable. We can't be selfish. 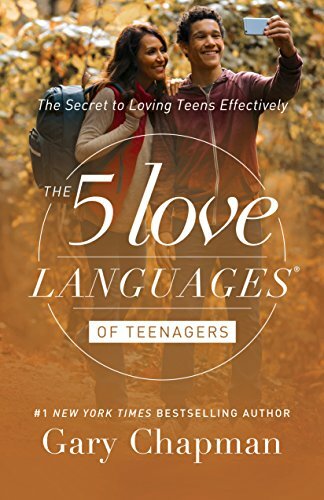 Develop a unique handshake or greeting that is only used between you and your teenager. Use it regularly when you say goodbye or meet after being apart. If your teenager is under stress, gently stroke their head to relax them as your son or daughter tells you about their situation. Hug and kiss your teenager every day when they leave for school for as long as they will let you, but be sensitive to their resistance, especially when in public. Does your teenager need physical touch? The above link is an affiliate link which means if you click on the link and make a purchase, I receive a small commission. I truly appreciate your support.